Marilyn J. Rose, 84, of Connersville passed away Monday evening, January 21, 2019, at Fayette Regional Health System. One of five children of Samuel O. and Mary Eva Mullen Walling, Marilyn was born in Connersville on June 25, 1934, and graduated from Harrisburg High School with the class of 1952. On August 25, 1962, Marilyn married Earles G. Rose in Calvary Baptist Church. Mr. Rose passed away on August 8, 2001. Marilyn was employed as a clerk at Taylor Drug Store, later known as Thielking Drug Store, from 1963 until her retirement in 1975. She faithfully attended Park Place Church of God where she helped with many church dinners over the years. 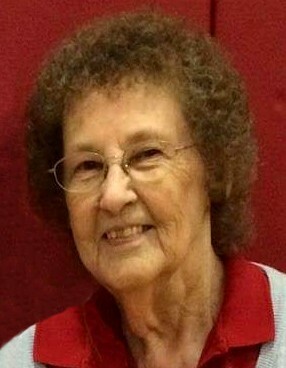 For several years, Marilyn assisted with local elections in the community. A great storyteller, Marilyn was known as the family historian and enjoyed singing silly songs. In her leisure time, she enjoyed reading and working crossword puzzles. Survivors include two sons, Steve Brewer and Dennis Brewer (companion, Jo Ella Buzendahl), all of Connersville; two daughters, Victoria Harrison of Connersville and Debbie (Lowell) Coffman of Brownsville; a daughter-in-law, Kellie Rose of Connersville; eight grandchildren; sixteen great-grandchildren; a number of nieces and nephews. Besides her husband of 38 years, Earles Rose, Marilyn was preceded in death by her parents; a son, Earl Rose; two brothers, George and William Walling; two sisters, Lois Harvey, and an infant sister; and a daughter-in-law, Melody Brewer. Family and friends may call from 12:00 noon until the time of service at 2:00 p.m. on Friday, January 25, 2019, at Miller, Moster, Robbins Funeral Home. Pastor Jeremy Williams will officiate. Burial will follow in Dale Cemetery. Memorial contributions may be made to Park Place Church of God, and online condolences may be made anytime at millermosterrobbins.com.